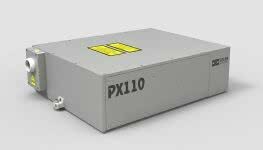 SOLAR LS presents a new family of high-power DPSS lasers generating laser pulses of 7 ps duration – the PX100 series. High peak and average power as well as excellent longterm radiation stability of these lasers make them an ideal tool for a wide variety of applications, from life sciences to materials processing. ensure superior TEM00 beam quality and unprecedentedly short warm-up time. RS232/Ethernet interface for PC control. 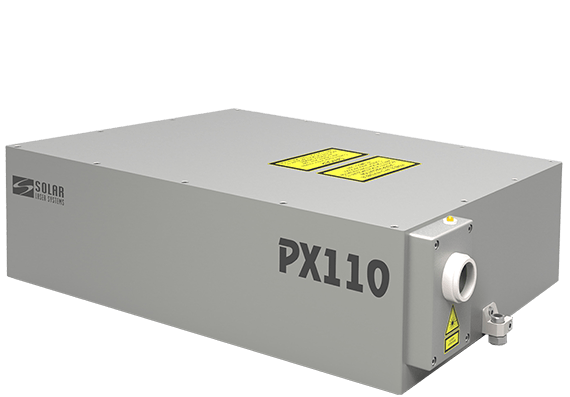 The lasers were developed SOLAR LS presents a new family of high-power DPSS lasers generating laser pulses of 7 ps duration – the PX100 series. High peak and average power as well as excellent longterm radiation stability of these lasers make them an ideal tool for a wide variety of applications, from life sciences to materials processing. specially for robust, low-maintenance operation. 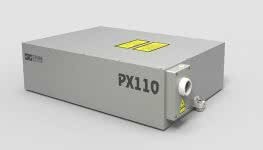 The cavity and nonlinear crystals of the PX100 series lasers are placed into a sealed rigid housing, thus ensuring reliable 24/7 operation. In the standard configuration the PX110 laser is supplied with the IR output. 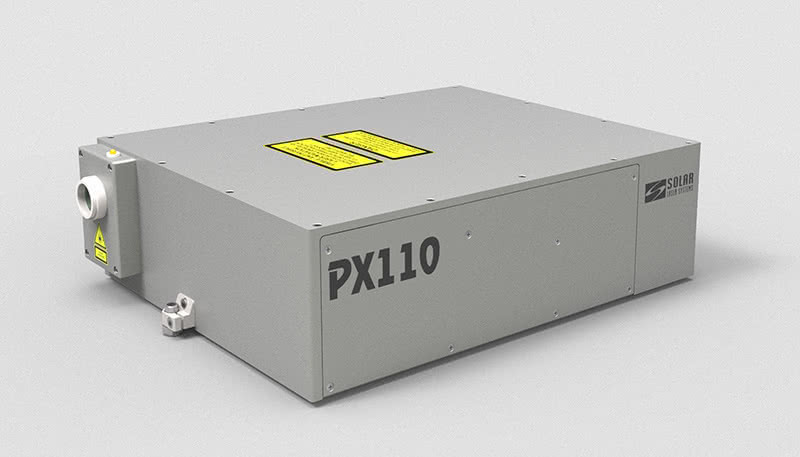 However, upon your request it can be supplemented with harmonic generators providing high-efficiency radiation conversion into the VIS and UV region thus expanding the laser’s capabilities for solving tasks in the field of nonlinear optics and laser spectroscopy. 1) Specified at 1064 nm. 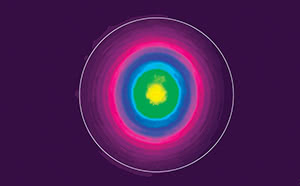 The PX110 laser typical near-field beam profile. The PX110 laser head outline drawing. 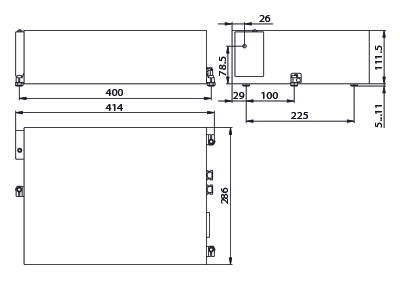 The PX110 laser power supply outline drawing.